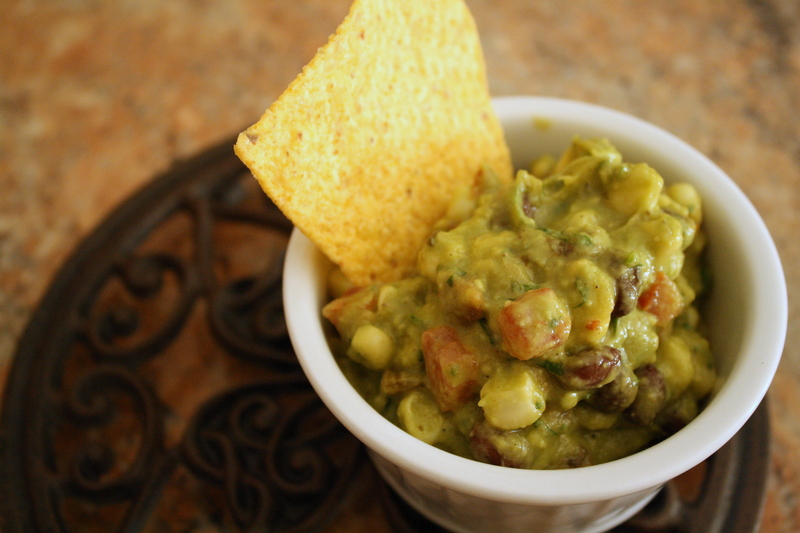 This guacamole is an amazing way to stretch your avocado budget. I can’t believe I bought them for $2 a piece!! Fortunately, I have an avocado tree in my backyard now. Unfortunately, they’re only the size of golf balls right now. I’ll have to wait for them to ripen so my avocado budget can balance out a bit. I could seriously have eaten the whole bowl of this guacamole. The flavors of sweet corn, tangy lime and fresh tomato and cilantro are a reminder of why I love summer recipes. YUM! Put avocado in a bowl and smash with a fork. Add the rest of the ingredients to the bowl. Cover and chill for one hour for flavors to marry. 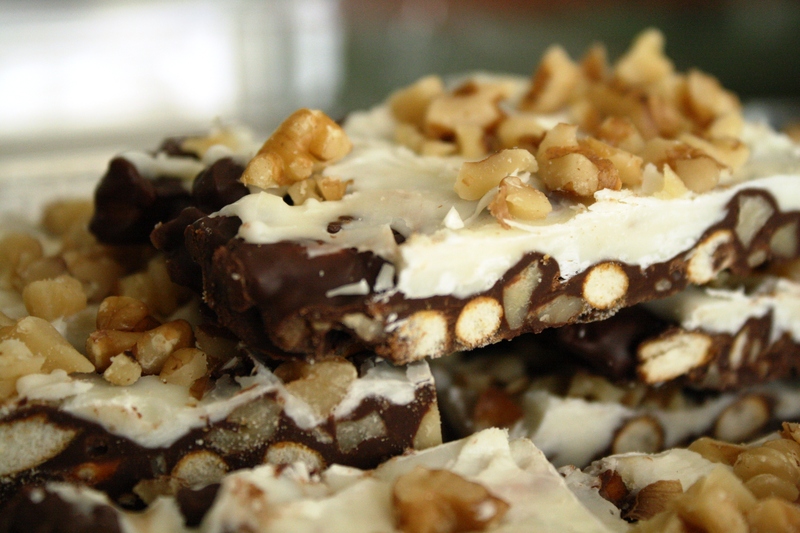 Enjoy with tortilla chips. Okay, I’ve officially been off the blogging radar for a month and I’ve missed it dearly. A lot has happened since my last post, including moving into a new house. For anyone that has ever done that, you know it’s lots of work and doesn’t seem to end for months to come. I still have boxes to unpack and things to hang on the walls, but it’s slowly feeling more like home everyday. What better way to celebrate than to make a cake for our country’s birthday!! 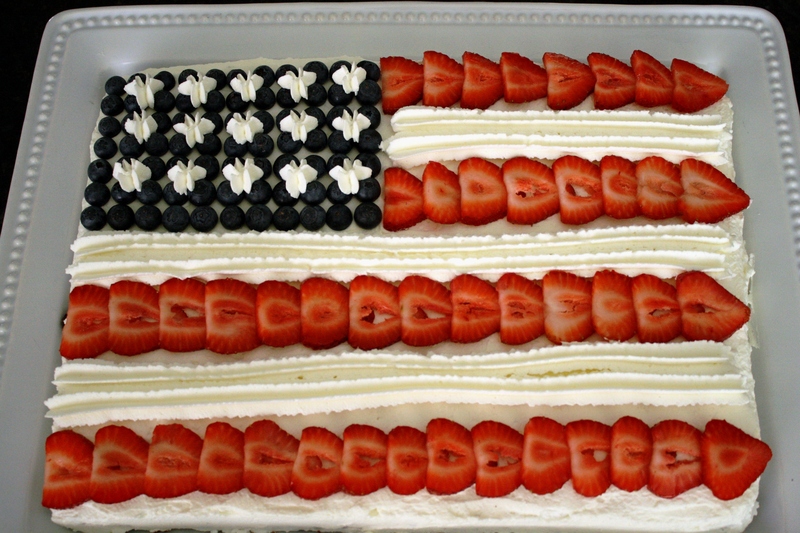 I am very happy to post this flag cake in celebration of Independence Day. 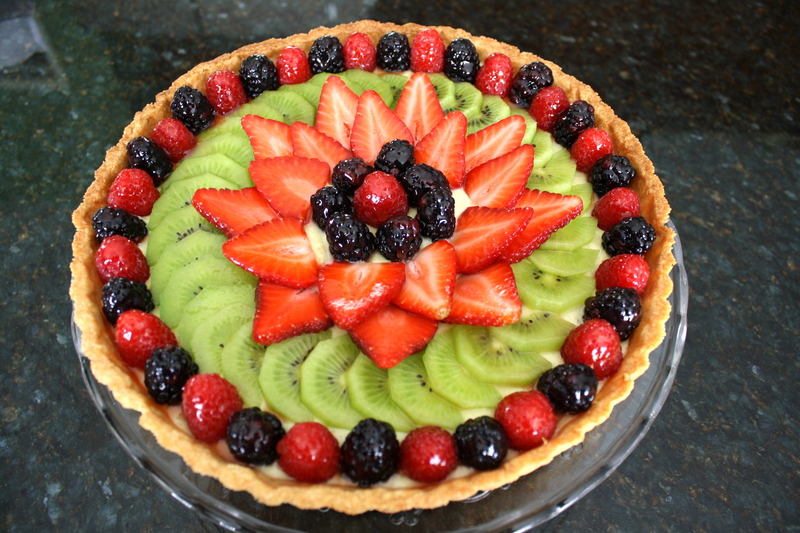 The summer berries are just so festive and I love the combination of whipped cream frosting with berries. Here I made a chocolate sheet cake and it was the perfect size and shape for our flag. 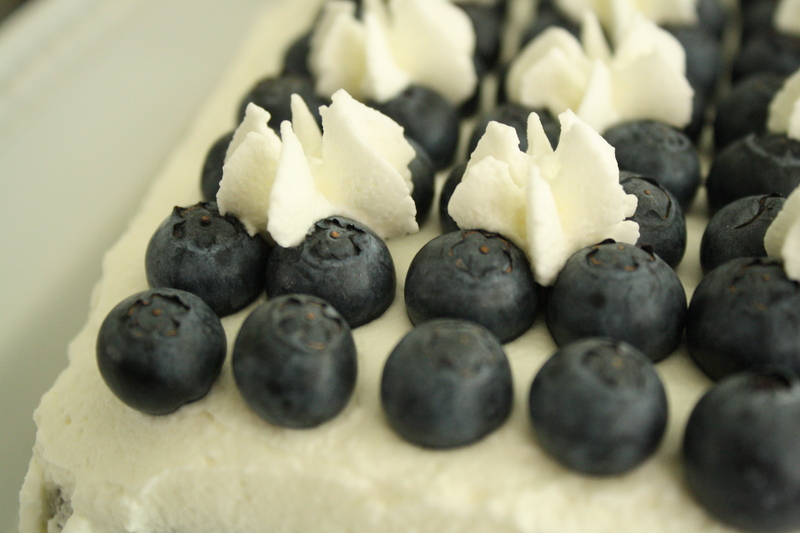 The field of blueberries with white whipped cream stars. I realize that I have the wrong number of stars, but that’s okay. This is a cake, not a history lesson! 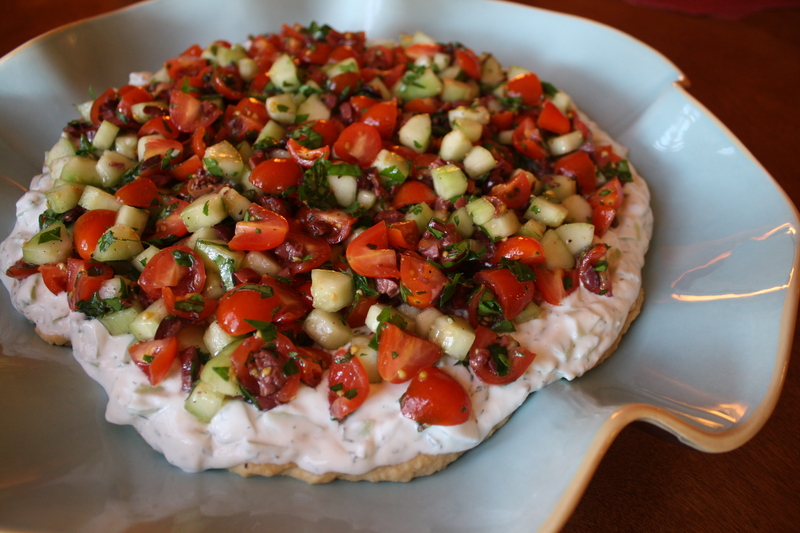 Try making this on Monday for your 4th of July barbeque and I guarantee people will LOVE it!! There really is no other food that’s more patriotic than this, right? And besides, it tastes amazing! Stir together sugar, flour, cocoa, baking powder, baking soda and salt in large bowl. Add eggs, milk, oil and vanilla; beat on medium speed of mixer 2 minutes. Stir in boiling water (batter will be thin). Pour batter into prepared pan. Grease and flour 13x9x2-inch baking pan. Heat oven to 350° F. Pour batter into prepared pan. Bake 35 to 40 minutes. 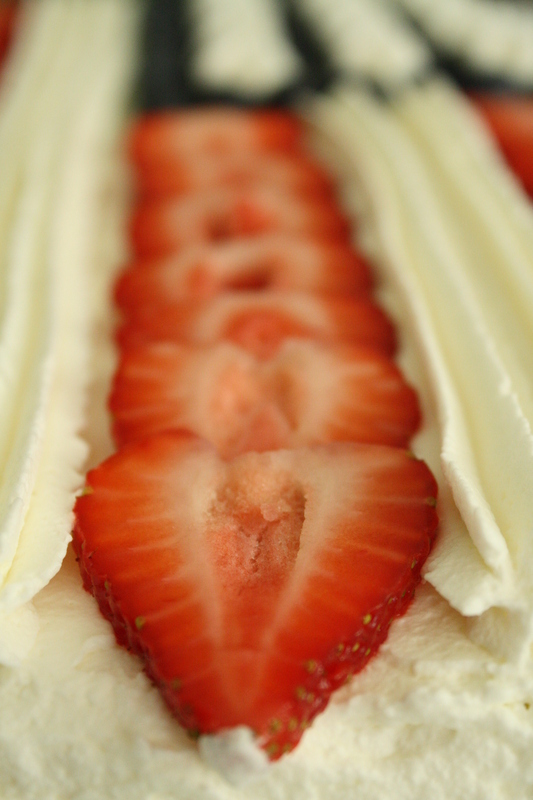 When cake is cooled, place on platter and cover cake with whipped cream evenly. Start by placing the blueberries on the top left of the flag. You do not need to be precise, just eyeball it. Wash and cut strawberries and place them in line. Spoon the remaining whipped cream into a piping bag fitted with a start tip and pipe the white stripes in between the strawberry stripes. Then finish with white stars on the blueberries.